Vouchers are prepaid store-bought cards that are usually issued by a retailer or a bank to be used as an alternative to cash for purchasing products and services in a particular store and its related businesses. The amount of the card is usually equivalent to the amount that was paid to acquire it. 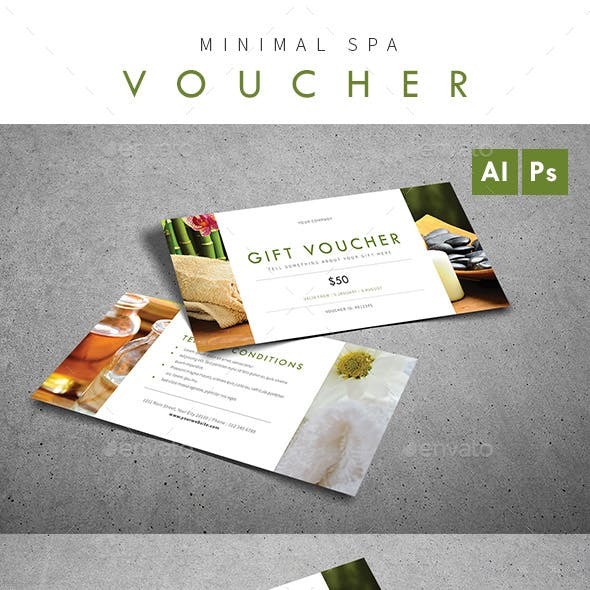 You may also see voucher design examples in PSD. 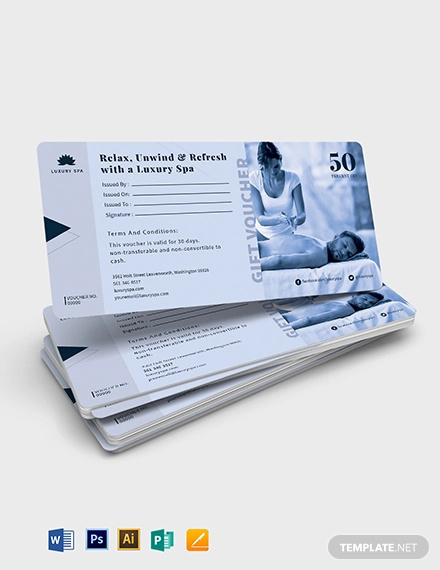 These vouchers are given out by retailers and marketers as a form of promotional strategy. 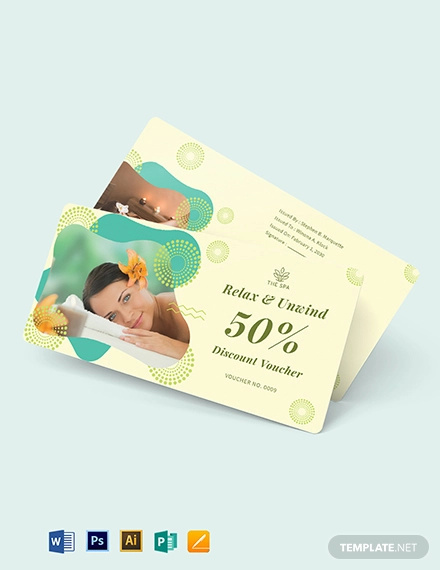 Since the voucher is only redeemable for purchases at the relevant retail premises, cannot be cashed out, and in some cases even have expiration dates, its holder will have no choice but to return to the store and use it so as not to waste the card’s value. After all, its worth is as good as cash. As an outsider, if you look at vouchers and the roles they play, you might think the whole thing absurd. “Why would you buy a card if you can just pay for your purchases with cash?” is probably what you’re asking right now. 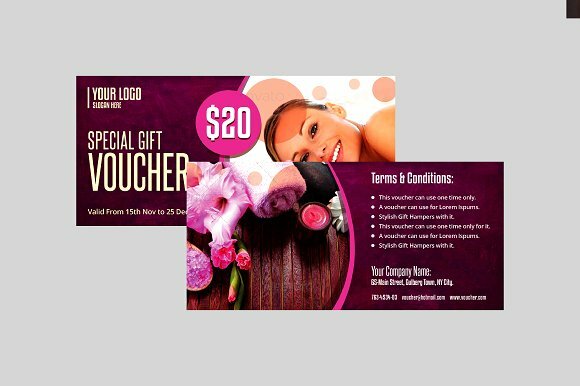 However, from the purchaser’s point of view, a voucher is a gift that you can give to someone instead of wasting your time looking for a gift the recipient may not even need or like. 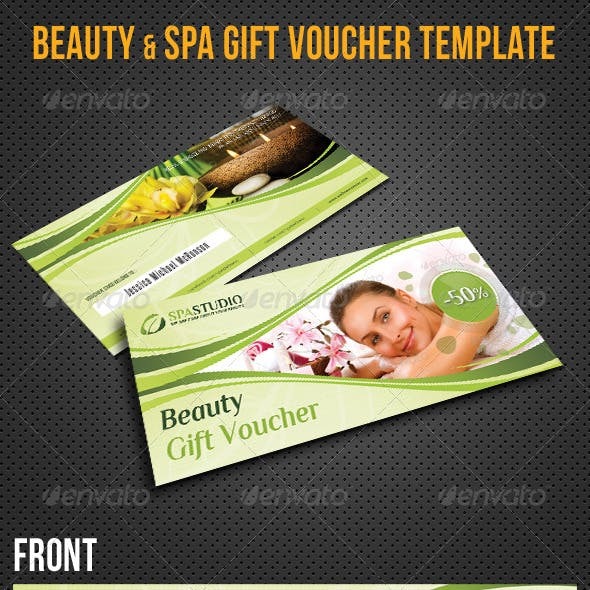 You may also see payment voucher designs and examples. Since giving out cash to a friend is not considered socially acceptable unless that person is running a charity, a gift giver has no choice but to at least try to choose something more appropriate, which often comes in the form of an impersonal object wrapped in something fancy to cover the fact that the giver knows nothing about the receiver, thus the latter will surely not like whatever the former got for him. And then vouchers were invented. In 2006, in the United States alone, vouchers were the second most given gift by consumers, the second most wanted gift by females, and the third most wanted gift by males. They have become so increasingly popular because they relieve everyone of the one burden we all want to have nothing to do with: picking a gift. 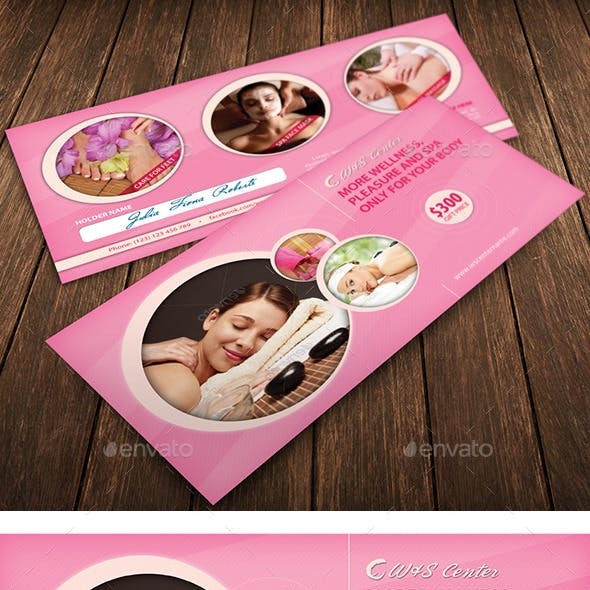 You may also see thank-you voucher designs and examples. In 2012, nearly 50% of all US consumers claim to have purchased a voucher as a present during the holiday season. In Canada, $1.8 billion was spent on vouchers, and in the UK, this number is estimated to have reached $3 billion in 2009. But the United States still proves to be the main patron of vouchers. US$80 billion was paid for them back in 2006. 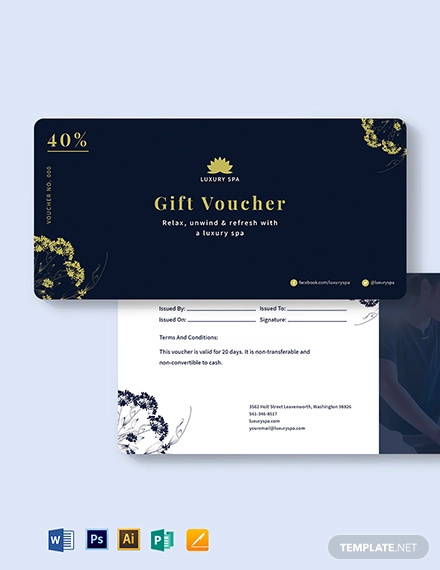 The recipient of a voucher can use it to buy whatever they want provided that they stay within the restrictions set by the issue, which are really just common things like validity period. 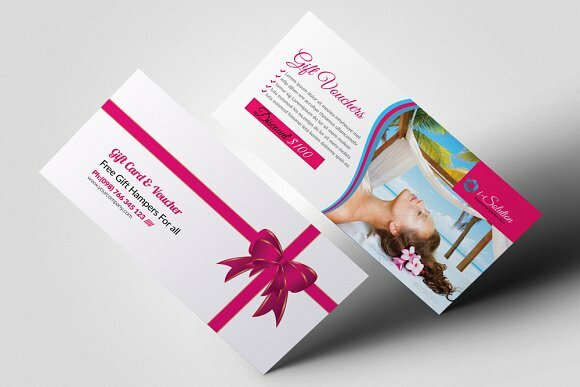 The amazing thing about giving vouchers, and the exact reason why they have risen to so much popularity today, is because by giving one to, say, a birthday celebrant, or to a newly wed, you are not just giving them a piece of card, which to others translates as someone not caring enough to put a thought into his gift. In actuality, you are giving your recipient the freedom and the luxury to choose whatever he wants for himself with you paying for the purchase yourself. 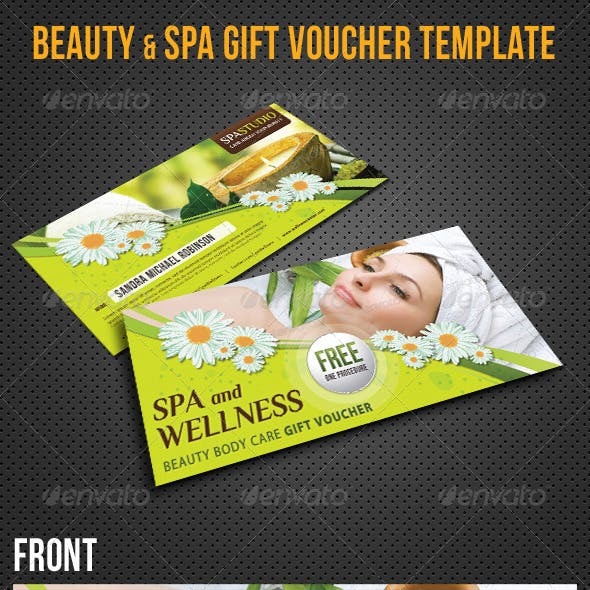 You may also see spring voucher designs. If you think about it, this system is much, much better than simply picking a cute scarf off the shelf of some store, not knowing that your recipient doesn’t even like scarves. Giving a voucher for your receiver to make use of however he wants to is much more thoughtful than choosing a gift he won’t even enjoy. Thus, the greatness of vouchers. Everybody needs a spa day. That is not even a question. We all need at least a few glorious hours wearing a big, soft bathrobe, while other people busy themselves with pampering us. Which is why vouchers are such an appreciated and easy gift. For that last-minute shopper, they are the best alternative. They work for birthdays, Valentine’s Day, anniversaries, Mother’s Day, graduations, baby showers, and even as a token to show someone your appreciation. They are perfect for people who love spas and people who have never tried one. And since guys have embraced the fact that they too need to be indulged, it works for guys too! 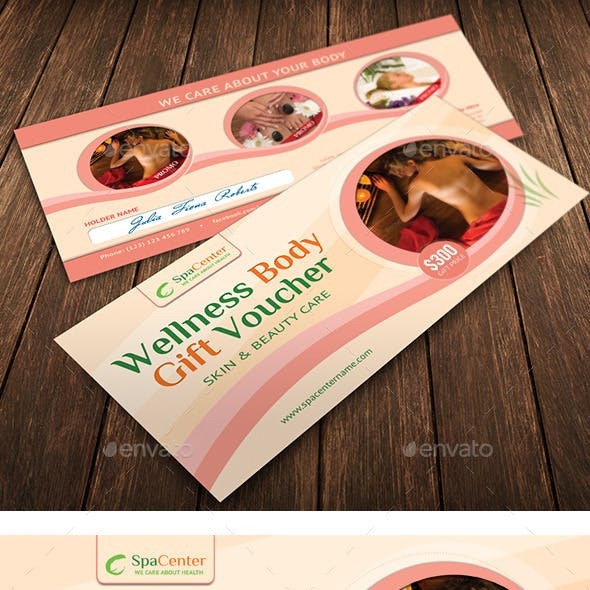 You may also check out here fitness voucher designs. They are such an easy solution to every gift-giver’s problem. Don’t know what to give someone? Maybe they’d appreciate it if you treat them to a luxurious aromatherapy massage at this great spa you know. Think your mom deserves to rest for a day and get the pampering she needs? Maybe a spa voucher can offer her the much-needed break she needs. If you’ve decided that you want to give a friend you care about a free access to certain spa relaxation treatments, here are some of the things you need to think about first. 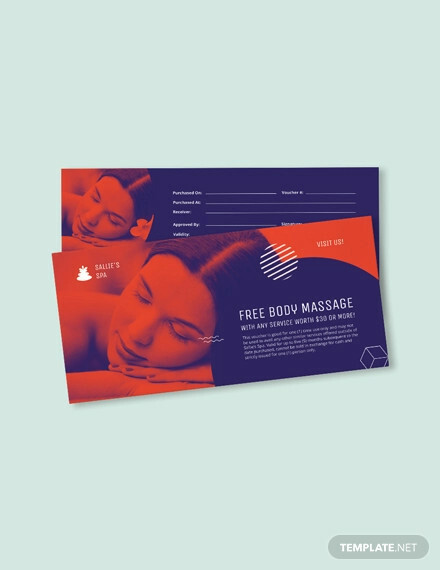 You may also see free voucher designs and examples. The first and most important thing of what you have to do is to buy a voucher. If you’re running short of time, you can always print one out from the internet. 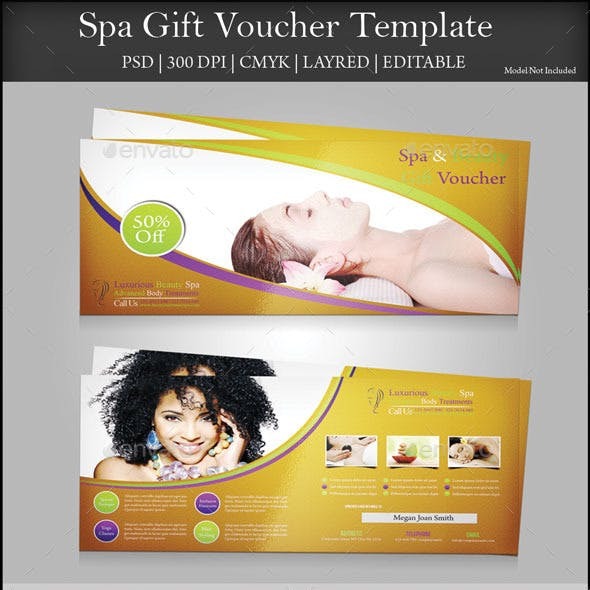 There are many companies online who sell vouchers accepted by many spas. 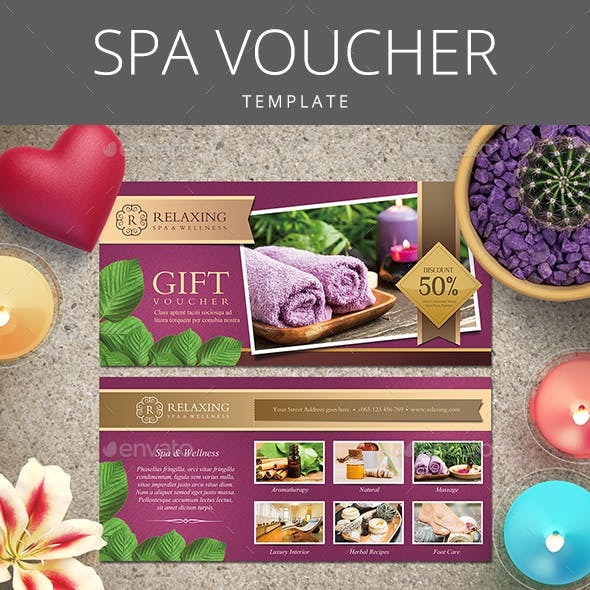 You need to make sure that the spa you’ve picked will accept the voucher before buying it. You can even add a little extra payment for them to ship your card in a nice little box. Gift-giving has never been more sophisticated. 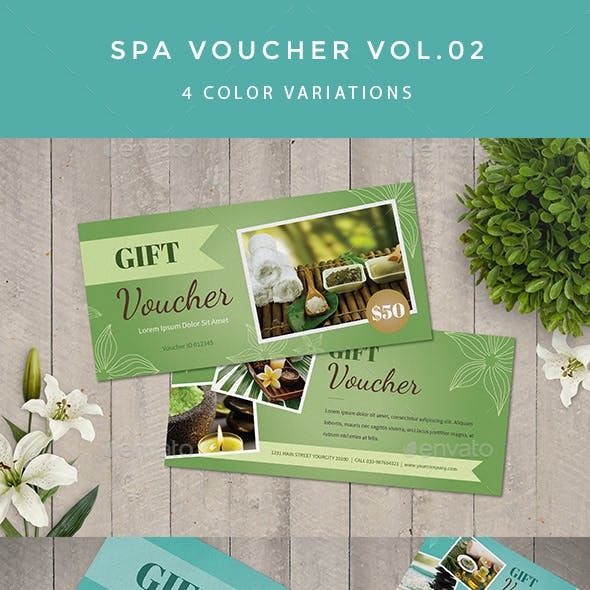 If you’ve had the time to decide which spa to buy the voucher from, it’s quite easy to get one from them. 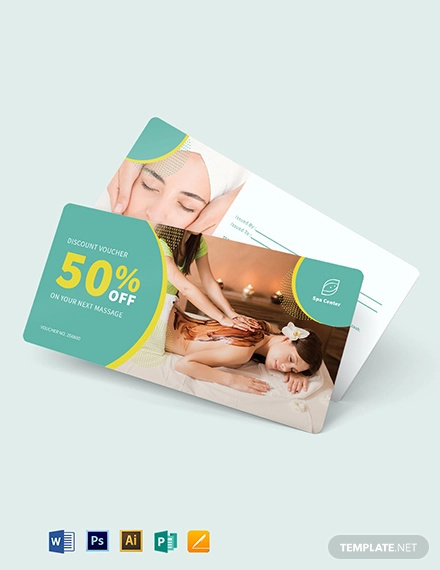 Most spas have their own voucher card programs. All you need to do is to make a call, so that they can set things into motion. 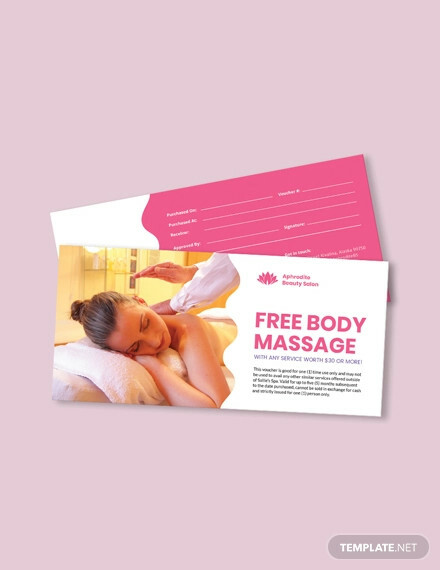 If you want your gift voucher to be a little more personal, you can buy a wonderful spa product you think your recipient will enjoy, such as a body oil, a robe, or a candle, put it all into a gift bag along with the voucher, and just let him enjoy all the attention. 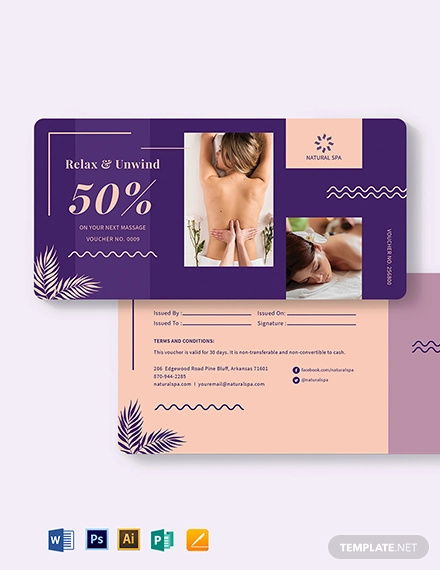 If you frequent the spa yourself, write down the name of your favorite massage therapist or aesthetician on the spa’s business card for your recipient. What if you are not sure how much to give? Now, this can be a little tricky since you don’t want to be too frugal with the amount in the voucher. After all, luxury comes at a price. 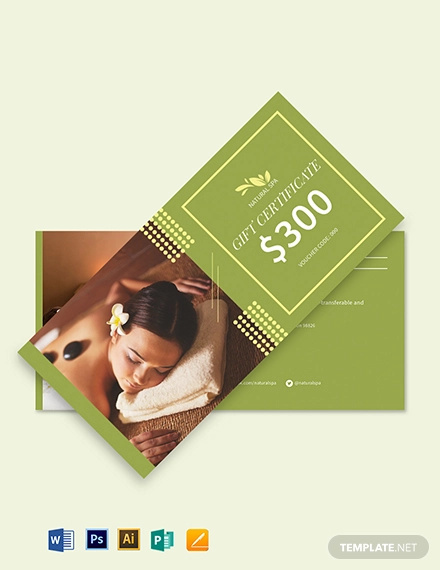 The minimum amount in vouchers is $25, but this amount won’t get your recipient very far. Most people would give at least $100 or $150 to make sure that their receiver gets at least one substantial spa treatment like a massage or a facial. Double that amount and he can get multiple services along with your generosity. The amount in the voucher you decide to give someone should depend on the occasion and in your relationship with them. If you are celebrating something substantial, naturally, your gift should mirror that importance. If the receiver is genuinely close to you, you should want to be lavish toward him. 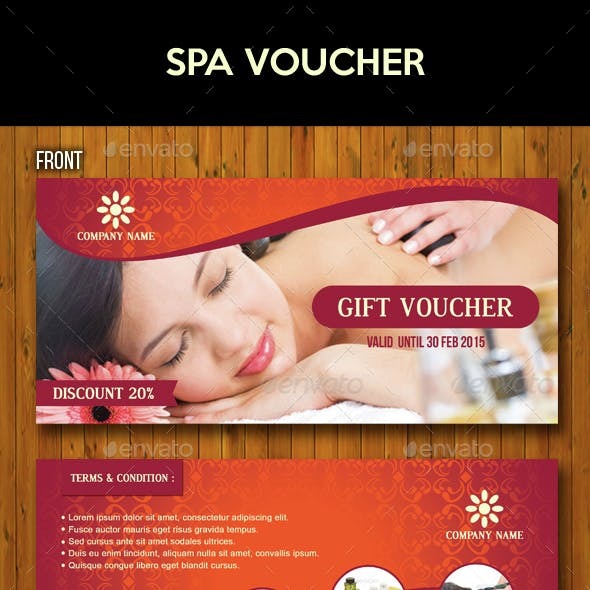 You may also see voucher designs and example. Regardless of the amount of money you decide to give to a person, make sure that you buy vouchers in smaller denominations. For example, instead of buying one $300 voucher, buy three $100 ones. This way, your receiver will have maximum flexibility about when and where to use them, instead of just spending the whole thing all in one place. If you’re a big spender. As you know, there is no limit to how much you can give to your receiver. 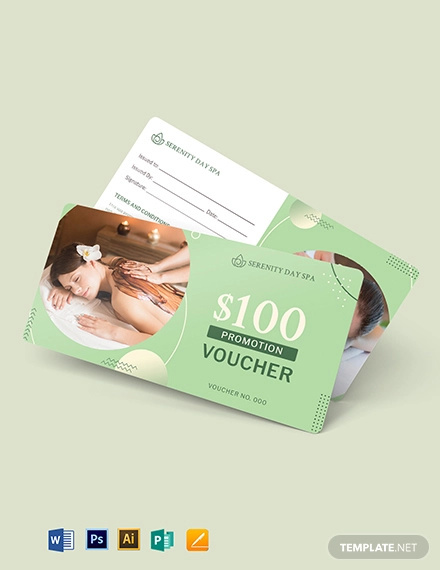 So if you’re going for more than just a couple of hours in a spa, in fact, if you’re aiming for an overnight stay at a destination or resort spa, there are also beautiful boxed gift cards worth $1,000 or more which can be used in one stay. This gift is, by the way, perfect for newly weds, or couples celebrating their anniversaries, or a friend who can use a night away from all the wrinkle-causing situations in the city. If you have a special place in mind for your recipient, a voucher can still help you make it happen. What can buy you what. A one-hour Swedish massage starts around $80 to $130. Of course, luxury day resorts or hotel spas are more expensive, often running up to $200. A specialty massage like a hot stone massage is more expensive. It will cost around $125, and may also last a little longer. A basic European facial is usually $80 to $130. If you add special masks, serums, or eye treatments, it can be even more expensive. A one-hour salt scrub with lotion application is $80–$130. A longer body wrap will cost $80–$130. A spa manicure starts around $35. A spa pedicure will cost from $45–$55. These spa nail services often have extras like scrubs, masks, and paraffin dips. Spa packages combine more than one service, such as a massage and a facial. Longer packages often include lunch too. Prices typically start at $150–$200, and the rates go up from there. The first use of vouchers can be traced way back to 1994. We owe the concept to Neiman Marcus who first used vouchers as a means of payment infrastructure through Blockbuster Entertainment who was the first company to do so at a wide scale. They test-marketed the idea in 1995 and launched them around the whole country the next year. In the beginning, the Blockbuster voucher replaced gift certificates that were being counterfeited with recently introduced color copiers and color printers. Blockbuster’s first voucher transactions were processed by what was then known as Nabanco of Sunrise, Florida. Nabanco was the developer of the first third-party platform for the processing of vouchers using the existing payment infrastructure. The Kmart Mags Pangilinan Cash Card was the first replacement for cash returns when a shopper did not have a receipt for a gift. The practice of giving a cash card in place of actual cash for non-receipted returns is now commonplace with many merchants. From its early introduction, most retailers have began to adapt the program for their own use. We have them to thank for the great opulence we now enjoy with the presence of gift cards. This is a nation and a generation who love the concept of vouchers, and the year on year raise in business revenue is a tangible evidence in support of that. Online gift vouchers, in particular, are just another quick and easy way of making a purchase and making a sale. We are all busy people, and the idea of having the ability to visit a website with a few clicks on screen buttons, choosing a voucher, buying it, and then automatically emailing it to our intended recipient is, to say the least, very appealing. Vouchers are heaven-sent to business and to their patrons. They give the latter unlimited freedom, flexibility, and ease, while gifting the former with thousands of annual revenue, all because they’ve decided to sell a card bearing a specific amount of money. 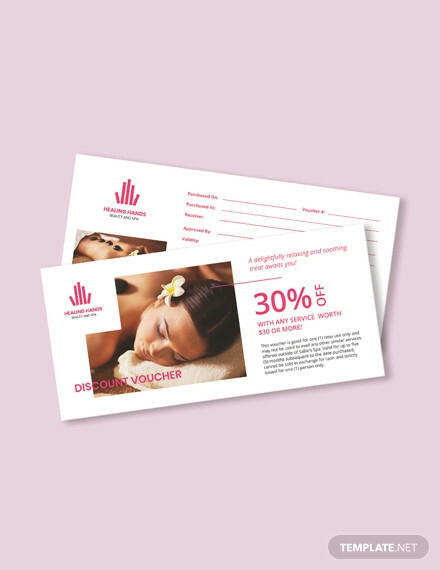 In fact, one of the benefits of selling vouchers is that more than 15% of these little cards are never actually redeemed. A little surprising how there are 15% of people out there who still do not know the real value of vouchers, but it’s true. The business from which the voucher was bought has earned a profit from a purchase that was never really used. 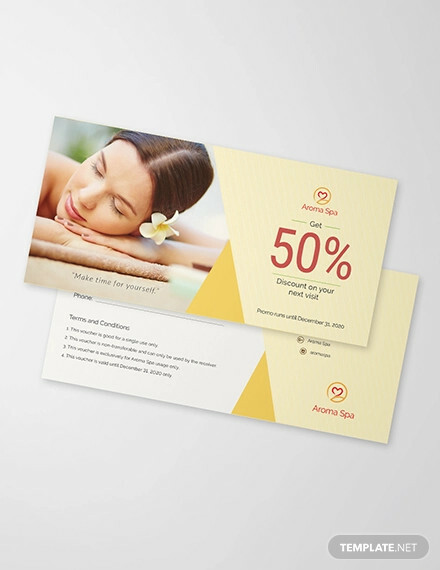 Spa vouchers generate a huge amount of revenue for the industry. It’s a win-win situation for both buyer and seller. Spending a day at a spa is a great reprieve in one’s stressful everyday life. Do someone a favor and get them a spa voucher. Better yet, do yourself a favor and get one for your own enjoyment.